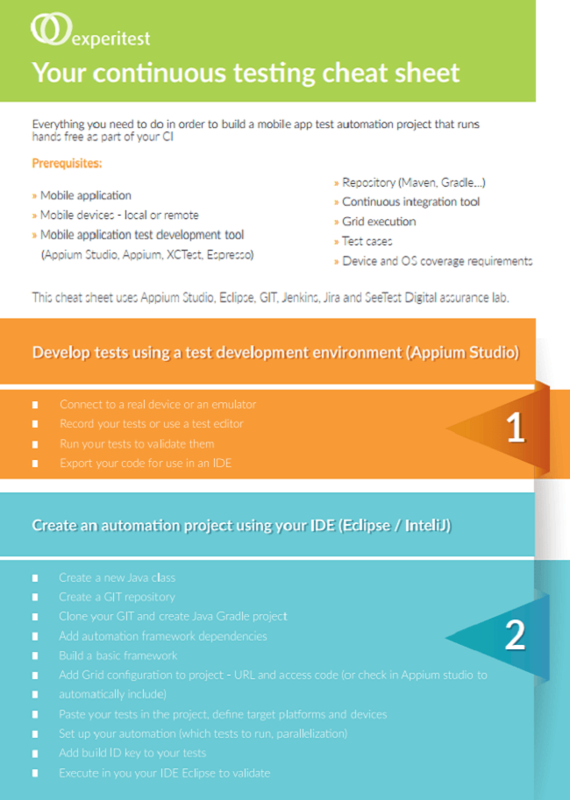 Everything you need to do in order to build a mobile app test automaton project that runs hands free as part of your CI. Agile software development describes a set of principles for software development under which requirements and solutions evolve through the collaborative effort of self-organizing cross-functional teams. It promotes adaptive planning, evolutionary development, early delivery, and continuous improvement, and it encourages rapid and flexible response to change. As your organization is agile you need a tool that meet your organization need. With smartphone users in the billions and with most of the time being spent in apps – enterprises know that they need to differentiate themselves, their services and products they provide. Accordingly, the race is on to release value-added apps as quickly as possible and provide a superior customer experience with flawless app performance and functionality. This puts a lot of pressure on developers to get out apps and their latest versions as quickly as possible. 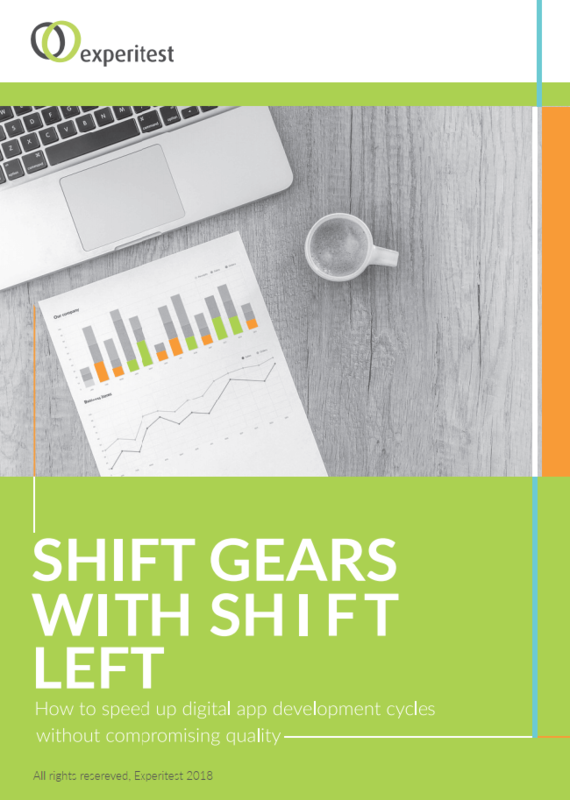 The key to expediting release cycles, and ensuring app quality depends on thorough and reliable testing and taking app testing automation to the next level with shift left testing. A bank cannot afford to fail, not once, not ever. As mobile banking extends the scale and scope of everyday banking transactions, it's critical that the mobile applications financial institutions offer their employees, partners, clients, and customers are flawless in protecting the accuracy and safety of the assets entrusted to them. This report addresses the challenges banks have in issuing and maintaining their mobile applications, including a case study involving how an Experitest client enhanced its mobile testing process using Experitest's SeeTest mobile testing tool. Any Medium or Large enterprise developing their mobile applications has an opportunity to increase the productivity of everyone in the development and quality assurance process by establishing a mobile lab. 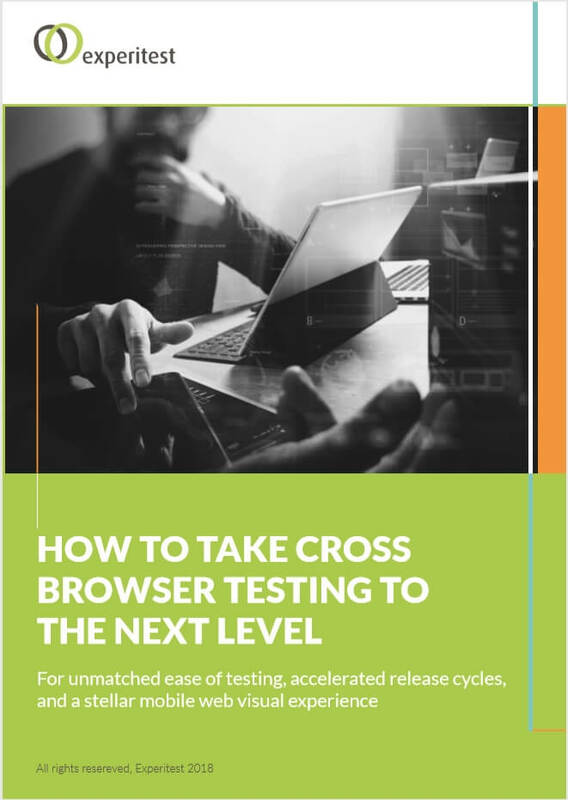 This report covers how to build a mobile device lab that will advance development, Quality Assurance, test coverage, and thoroughness while shortening an application’s time to market by sharing devices in a productive and secure environment. The mobile universe gets bigger at an ever increasing rate. At the same time, users demand newer versions faster, and with no errors. How does today's business cover the rapidly expanding test area leaving room for no error in less time than before? Continuous Integration is the answer. Continuous Integration allows you to automate as much of the DevOps process as you can, reducing the time you need to deploy, or redeploy the latest version of your mobile application to market. The most challenging part of the process is mobile testing. An automated mobile application testing tool is a vital part of the CI process. 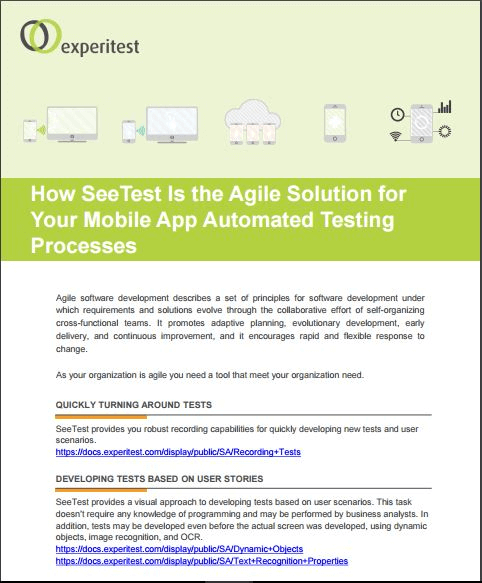 Experitest's SeeTestAutomation integrates seamlessly into the main CI platforms. In this White Paper we will explore the CI process, how it improves the ROI of your DevOps, especially for mobile apps, and how you can leverage the entire spectrum of Experitest testing tools to make the most of your CI efforts.